Indiana State University trustees Thursday approved a transitional retirement incentive plan designed to help the university meet changing staffing needs as it begins implementation of its strategic plan. "We began crafting the early retirement incentive program last fall in an effort to provide flexibility in staffing as we begin to adopt new degree programs and other elements of our strategic plan," President Daniel J. Bradley said. Bradley cited the physician's assistant program approved by the Indiana Commission for Higher Education as one example. 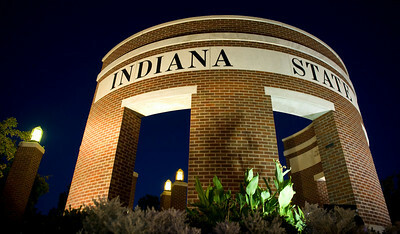 Indiana State will begin offering the new master's degree program in the spring 2011. He stressed that no employees should feel pressured to retire early. "While this plan was designed to benefit the university, the decision to retire is a very personal one. It is a step no one should take without careful consideration," he said. The transitional retirement incentive plan covers employees 55 or older with at least nine years of continuous benefits-eligible service. The plan provides lump sum payments of 125 percent of annual salaries (minus applicable taxes) for eligible employees who retire by June 30, 2010; 115 percent for those who retire by Dec. 31, 2010; and 100 percent for those who retire by June 30, 2011. In a related action, the trustees approved changes to the university's regular retirement severance plan, including expanding the program to include support staff. "I am very pleased that support staff has been included equally in this program," Support Staff Council President Roxanne Torrence said. "A retirement incentive is something the Support Staff Council has been working on for quite some time. This equality speaks highly of our current administration." The program provides varying levels of retirement severance pay. Employees with 15 or more years of service by Dec. 31, 2010, will be eligible for one-time incentive payments equal to 60 percent of their base salary (minus applicable taxes). Employees with less than 15 years of service by Dec. 31, 2010, will be eligible for payments equal to 40 percent of base salary, and new employees hired beginning March 1 will be eligible payments of 25 percent of base salary. To receive the retirement severance, all employees must be at least 62 by retirement and have at least 20 years of consecutive service. "I am pleased that we are able to retain a retirement severance plan, and that we could broaden the program to include our support staff for the first time," Bradley said. Trustees also approved a schedule of room and board rates designed to keep the cost of campus housing competitive. Rates for campus residence halls will increase 3.9 percent for 2010-11 while rents for university-owned apartments will increase 5 percent. "While rates for next year have not been set at other institutions, we believe our room and board rates are very competitive, even when compared with this year's rates at universities offering similar housing and meal plans," said Tom Ramey, vice president for student affairs. "Rates at University Apartments will also remain highly competitive with the local market, especially since these rates include utilities, cable television and wireless Internet." The rate for a standard double room in a campus residence hall, with a standard meal plan, will be $7,752 per year. Rent at University Apartments will range from $520 per month for a one-bedroom unfurnished apartment to $783 for three bedroom apartments. Also on Thursday, ISU trustees approved a new fee policy for international students in programs designated as global initiatives of strategic importance. In recent years, Indiana State has seen significant growth in international agreements and the 490 international students enrolled this semester is the highest number since 2001. The new policy is consistent with Bradley's goal of focusing on countries and institutions which are most important to the university and its mission and have the greatest level of current or potential student involvement. The new policy provides that tuition for students enrolled in designated programs will pay 125 percent of the standard tuition rate, rather than the full amount of out-of-state tuition. Programs considered for the designation will be those for which ISU has a signed agreement with another country or educational institution in another country, or a nationally-sponsored program. "The designation of selected international partnerships as global initiatives of strategic importance will send a strong signal that these programs have the greatest potential to benefit visiting students and their countries and institutions as well as our students and the state of Indiana," said Jack Maynard, ISU's provost and vice president for academic affairs. • Approved creation of a Sales and Negotiations Center in the Donald W. Scott College of Business. ISU trustees Thursday approved a transitional retirement incentive plan designed to help the university meet changing staffing needs as it begins implementation of its strategic plan.